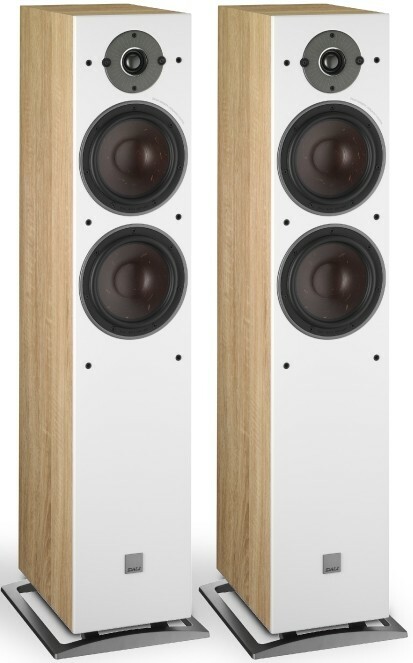 Smaller floor standing model in Dali's Oberon range with oversized tweeters, wood-fibre woofers and striking cabinet design setting new benchmark for affordable audiophile speakers. Dali Oberon 7 floor-standing speaker is a true showcase of Dali ideas, traditions and inventions - all wrapped in an elegant and modern design. It redefines what is possible, both in audio quality and visual design, in its price range. The two 7" woofers and one oversized 29mm ultra-lightweight soft dome tweeter delivers the very best in deep bass and large room performance. Despite its size, this speaker is surprisingly delicate and will impress with its ability to render any music style naturally and lifelike. This large floor-standing Oberon 7 features two 7” wood fibre SMC based woofers and an oversized 29 mm ultra-lightweight soft dome tweeter. This, combined with the large but elegant cabinet, delivers the very best in deep bass and large room performance. Despite its size, this speaker is surprisingly delicate and will impress with its ability to render any music style naturally and lifelike even at lower volumes. This makes the Oberon 7 perfect for almost any audio setup and any music or movie style. The iron ferrite forms the lower base of the pole cylinder, topped off with 10mm SMC disk to crown the pole piece. This combination minimises the negative effects of the iron while placing the SMC disk right in the main working area of the 4-layer voice coil. This placement ensures the maximum effect from the SMC on the voice coils environment, resulting in a greatly improved constant flux field. 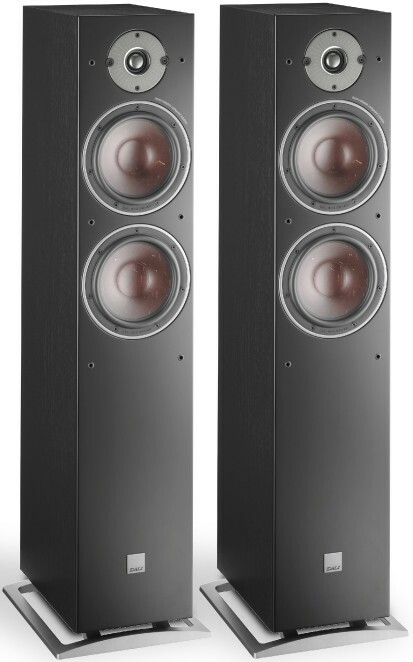 Oberon 7 features a pair of 7" low-loss woofers that are optimised with a new wood fibre structured cone which is dedicated to reproducing the delicate midrange and bass frequency area - like every other driver made by Dali. It is constructed from a blend of fine grain paper pulp and reinforced with wood fibres, which creates a stiff, light-weight and well-behaving structure. In combination with a low-loss surround and spider suspension, this cone reproduces the micro details in the signal - unfiltered and with high accuracy. A 7" driver was chosen with a membrane that has a 15% larger dimension than the common 6½ market standard. The larger cone area allows a lower voice coil excursion at the same sound pressure level compared to a 6½ woofer. It also allows a higher maximum sound pressure level, which leads to an effortless reproduction of the dynamics in the music. The membrane terminates in a rubber surround that is chosen for its soft and very flexible properties. This gives the membrane free movement with a very low dampening effect and leaves the magnet motor to control the membrane movement. 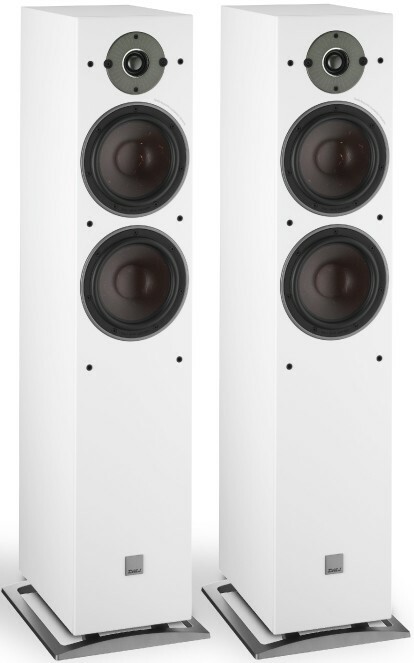 The 29mm ultra-light soft dome tweeter is manufactured by Dali and has been developed specifically for the Oberon series - combining well-proven technologies from our existing Dali ranges with new features. The large size of the membrane lets the tweeter generate higher sound pressure with less excursion, keeping the voice coil motion to a precise minimum. The oversized 29mm membrane is constructed based on an ultra-light wave weave fabric and is additionally optimised for a larger bandwidth in its lower frequency area. The cabinet employs a very rigid construction, with solid bracings across the inside of the cabinet for reinforcement. This contributes to the stiffness and practically eliminates resonance within the cabinet. The cabinet housing is constructed from high-density CNC machined MDF board - dressed in carefully selected high-grade vinyl. 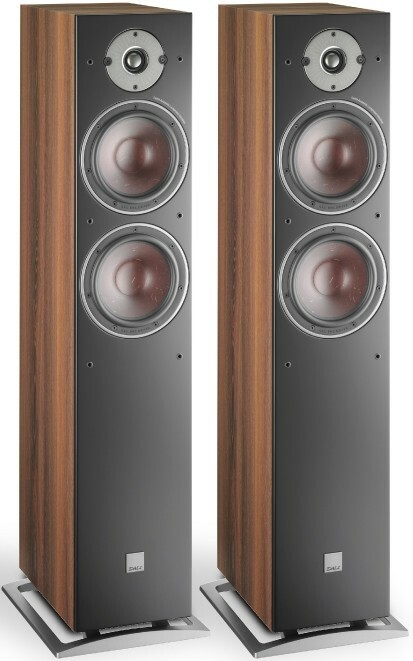 To optimise timing, the speakers are fitted with acoustic damping material internally along the sides, top and bottom. This creates a more direct contact between the woofer and bass port. 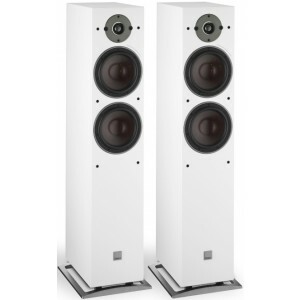 The audible result is a more precise bass and increased ‘attack’ in the midrange. The bass ports are placed on the rear optimising room integration by utilising the wall for improved bass performance. The elegantly shaped aluminium base gives the floor-standing Oberon 7 a lighter look. 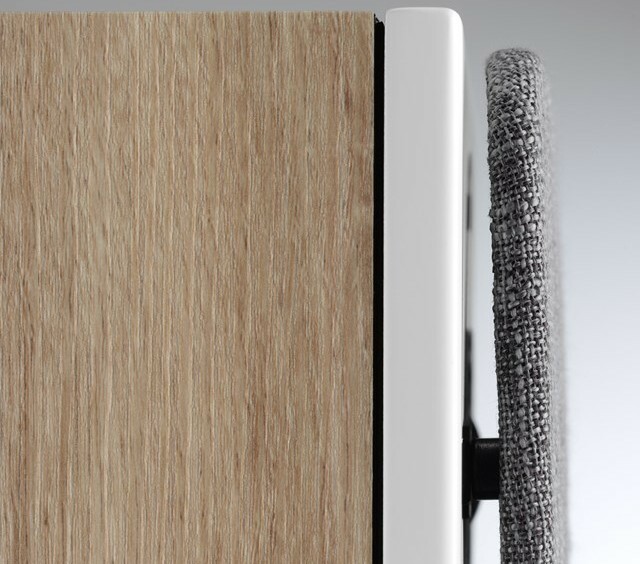 Dali Oberon series is available in four finishes: Black Ash, White, Dark Walnut and Light Oak. Matched with a matte black or white front baffle. 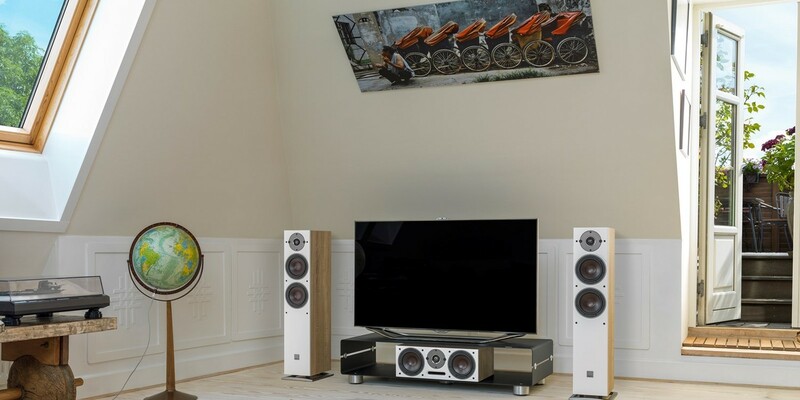 The rear-mounted bass port ensures optimum integration within the room, and the elegantly shaped aluminium base gives the two floor-standing models a lighter look. The Oberon series also introduces a brand new front grille design with rounded edges that add a lighter and contemporary visual look to the speaker series. 'Mountain Grey' is the standard grille supplied with the light finishes while Shadow Black is standard on the dark finishes.